Bernie Brewer is NOT an Alcoholic! !……but if you belive everything you read on the internet you might get that impression. In a photo gallery put together by Micheal Griffin of RR.com he lists his 10 WORST Mascots, and our beloved Bernie Brewer is on the list! Wait!…he forgot a couple things…after a triple, Bernie does a KEG STAND, during the 7th inning stretch he does “quarters” with Bonnie Brewer, and downs a BEER BONG after each double play the ‘Crew turns. C’mon!…Obviously, Griffin has never been to a Brewer game at Miller Park or, was simply too LAZY to check his facts. Anyone who has been to a game at Miller Park since it opened in 2001, know that all Bernie does after a home run is slide down a long yellow slide from his dugout to a platform where he waves a Brewer flag. Griffin may have had a viable argument in the 80’ and 90’s when the Brewers called Milwaukee County Stadium, home. Back in the day, Bernie would slide down from his chalet which was attached to a beer keg into a giant beer mug, and release some balloons in celebration… but those days are long gone. Either it was a slow day for Griffin, or maybe he has Masklophobia (the fear of mascots), and this list was his therapy. 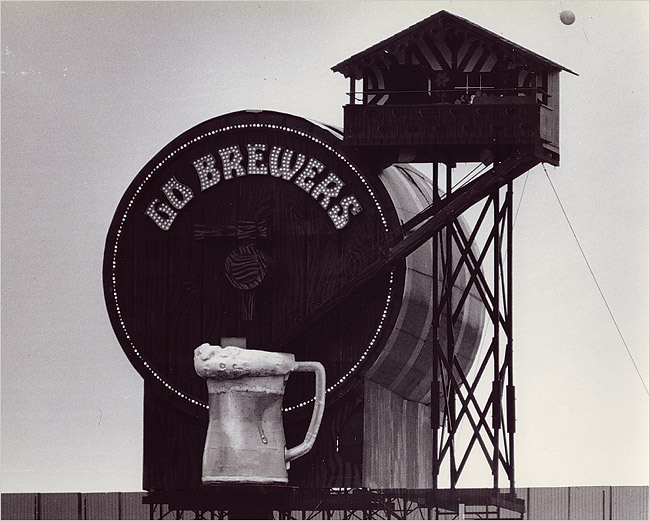 This entry was posted in Baseball, Milwaukee Brewers, MLB, sports and tagged bernie brewer, mascots, masklophobia, michael griffin, Miller Park, Milwaukee Brewers, Milwaukee County Stadium. Bookmark the permalink. Hope Bernie does a lot of sliding this year! 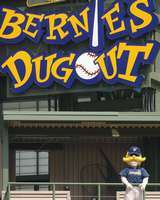 Bernie is a great mascot. What the hell does Griffin want instead…..a “poka”dot dinasour?